Fox Business Anchor Lou Dobbs, took his lips off Donald Trump’s backside long enough to report that a new poll showed that Trump had an overall approval ratings of 55%. 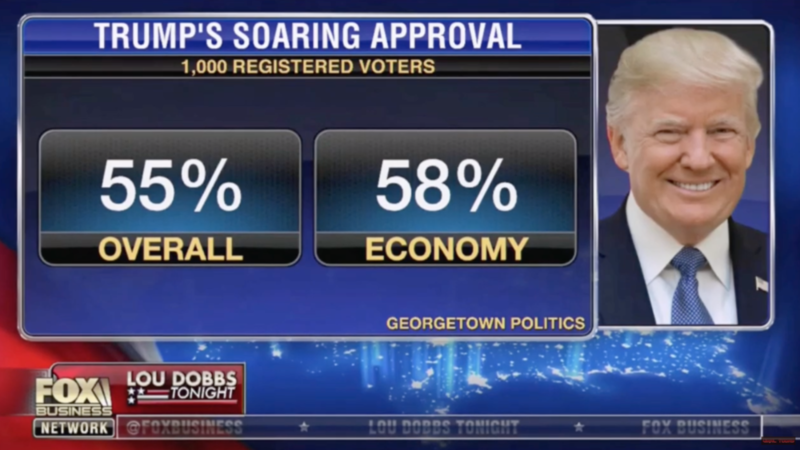 While Dobbs was slobbering over the poll numbers, they were not correct. The 55% was actually the people that disapproved of Trump. Trump even tweeted out the fake numbers that Dobbs reported. Last night, Dobbs tried to put the toothpaste back in the tube.